McLaren’s driver Stoffel Vandoorne set fastest time today at the end of the 12-hour tyre test organised by Pirelli on the smooth surface of the Yas Marina circuit. The session took place non-stop throughout the day, with the expected bright sun and warm temperatures starting out at around 24°C ambient (35°C asphalt) and reaching 28° and 40° respectively by lunchtime. The session started with all the drivers running some laps on base tyre to confirm the set-up of the cars and using P Zero Red supersoft and P Zero Yellow soft tyres: the nominated choice for the Abu Dhabi Grand Prix last weekend. Testing with the prototype tyres (new ultrasoft compound and new constructions both front and rear) started around one and a half hours into the session. The Teams tested several different potential variations of the new ultrasoft compound, from which one will eventually be selected. Prototype tyres were not marked with any colours or other visible markings, while base tyres carried the usual colours on sidewalls. The test was ‘blind’: neither the drivers nor the Teams knew which kind of tyre specification they were testing. During the test, the teams were not allowed to try new parts or change any other components, keeping the focus on the tyres. 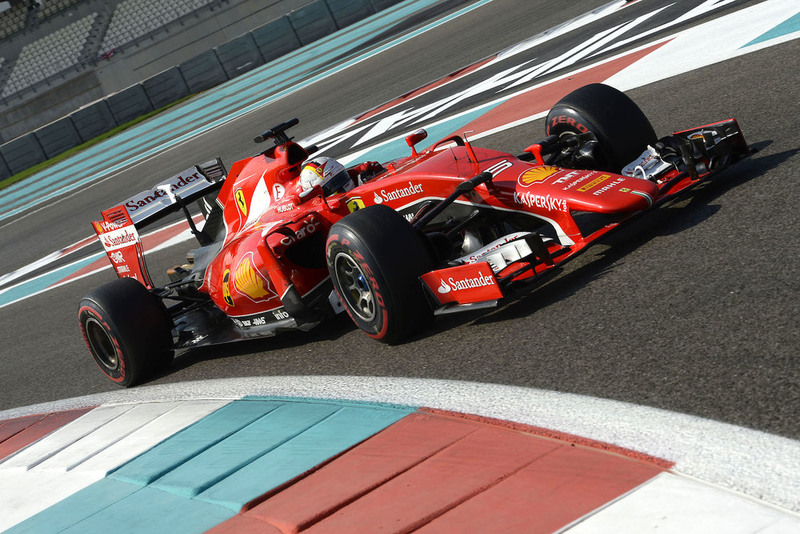 With its smooth surface, consistent temperatures, and wide variety of technical corners, Abu Dhabi was a perfect venue in which to assess most key aspects of tyre behaviour. The session started at 9am local time and went on till nearly 9pm with no lunch break. This made it the longest single-day Formula One group test in the sport’s history.